It is a dinosaur, it is a shape dinosaur! 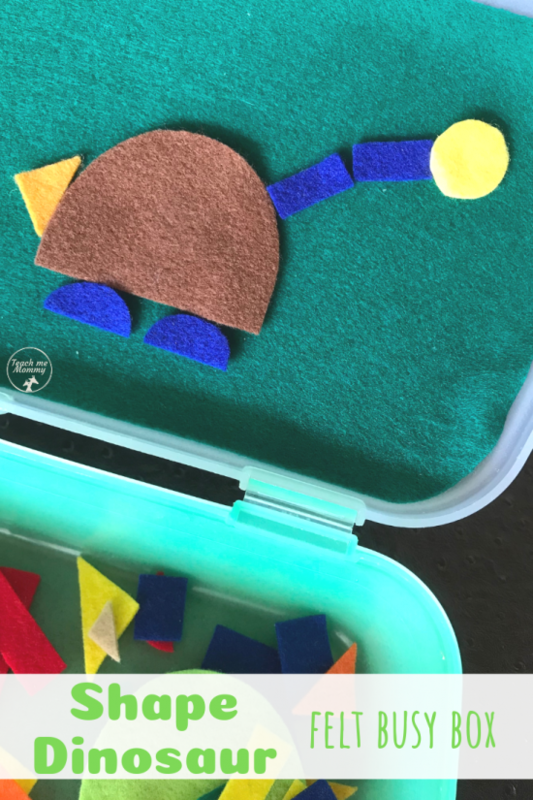 Create dinosaurs of all shapes and sizes with this fun felt busy box idea: shape dinosaur felt busy box! 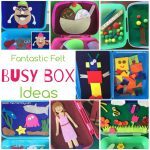 This is such a simple felt busy box to put together. Cut a few big half circles to use as the body, then a variety of shapes, size and colors of felt scraps. 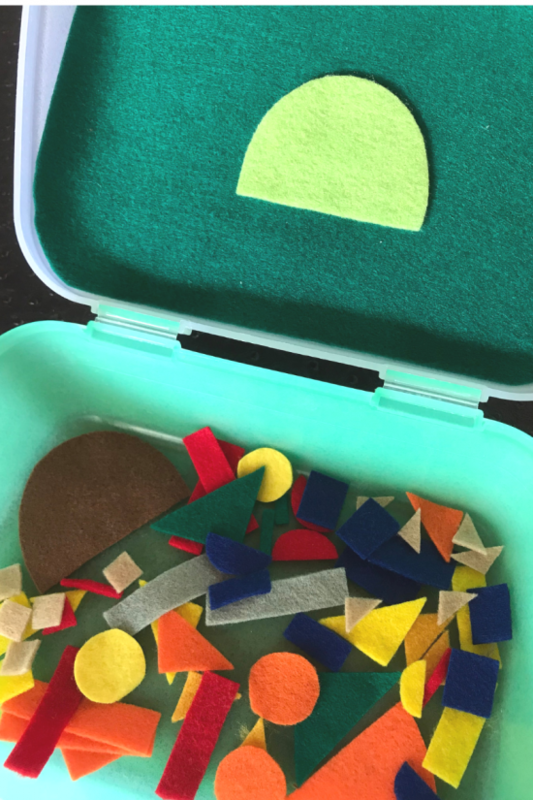 We use our plastic lunch box with lid, the lid lined with felt, like we do with all our fun felt busy boxes. This makes it travel and storing friendly. See our collection HERE. 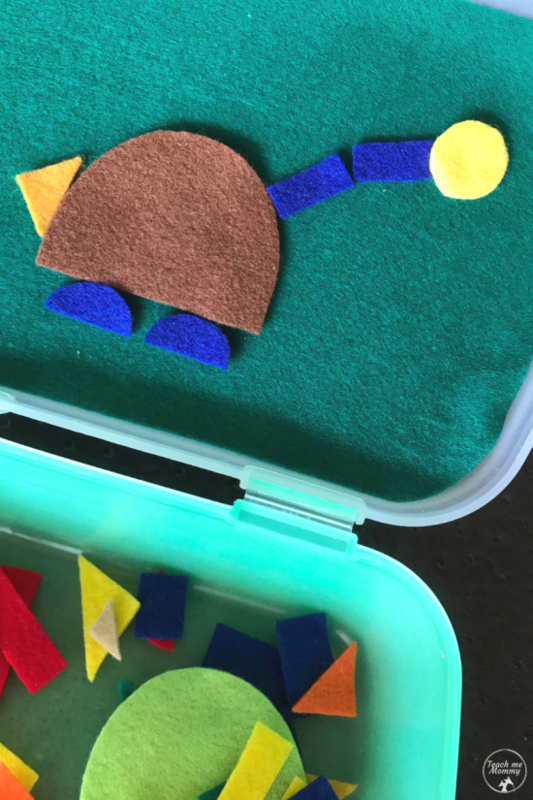 Let the kids create their own dinosaurs from the felt shapes. Young ones might need a little help. 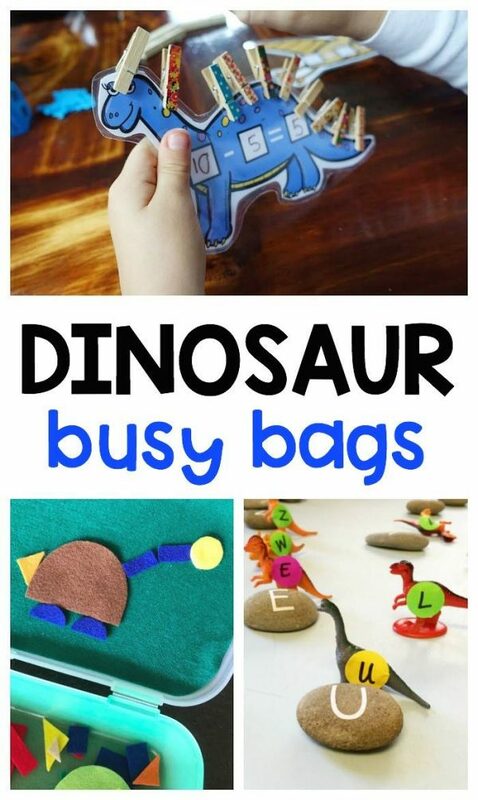 You can also make cards to copy- build the dinosaurs, take pictures and use it as cards to copy from! The possibilities are endless if you have the imagination to see dinosaurs in the shapes! This is also a good activity to work on the shape names and also counting skills. Fun with a few scraps of felt! 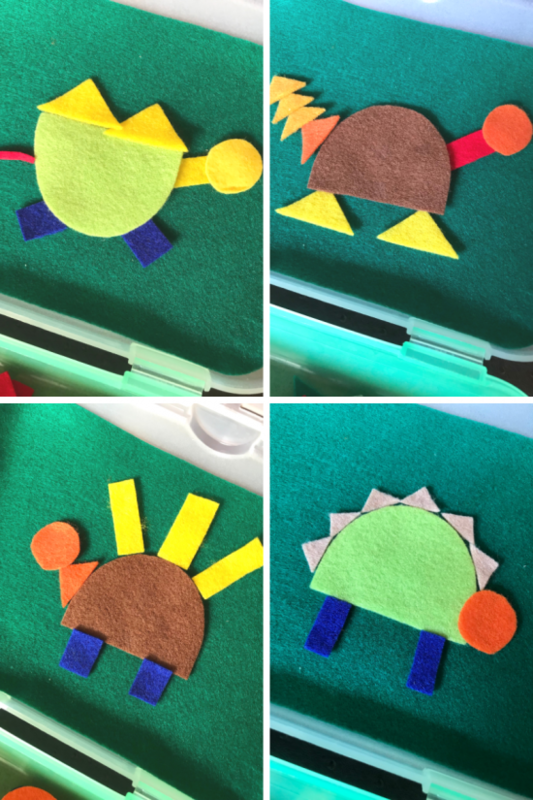 Shape dinosaurs, shape monsters, shape robots… More ideas for you! 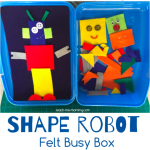 Also see out Fun Felt Busy Box Ideas ebooks WITH templates to create 30 different busy boxes! 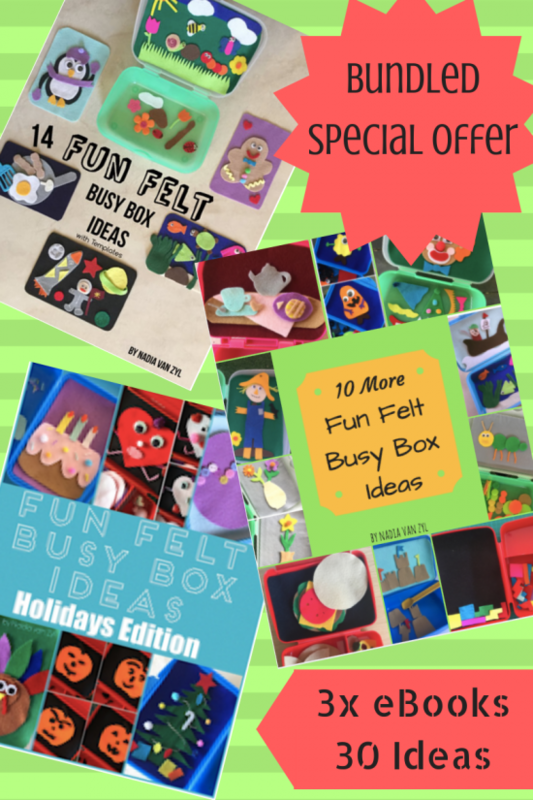 Get all our Felt Busy Box Ideas ebooks in this bundled special offer! Go HERE!